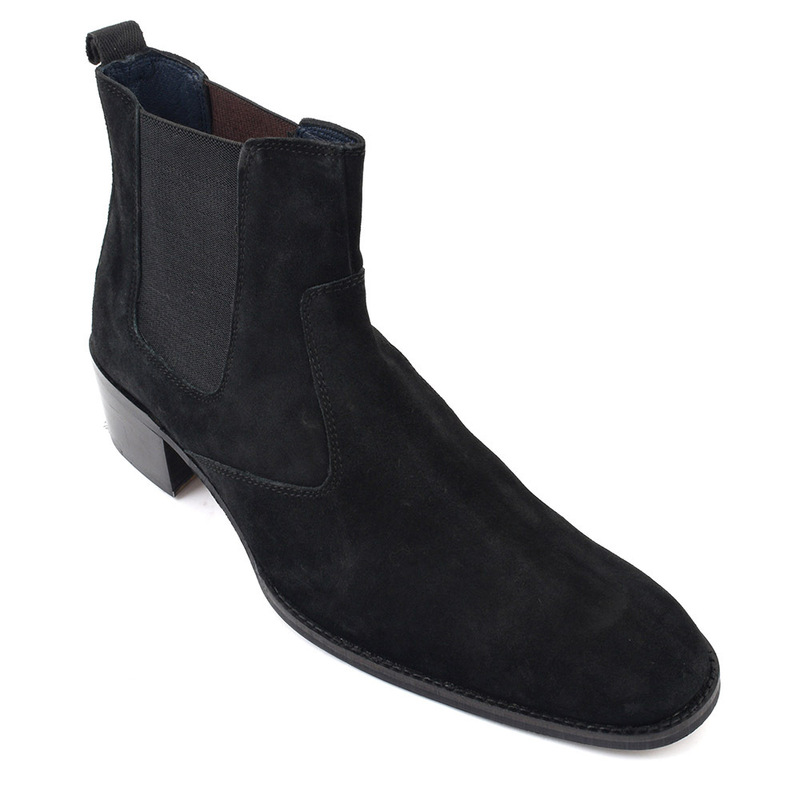 This black suede chelsea boot has a cuban heel which is 5cm. Turn up the decadence with a lush pair of these black suede cuban heel chelsea boots. 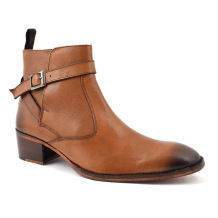 Divine to touch and lux to wear, these mens pull up cuban heels are a must. 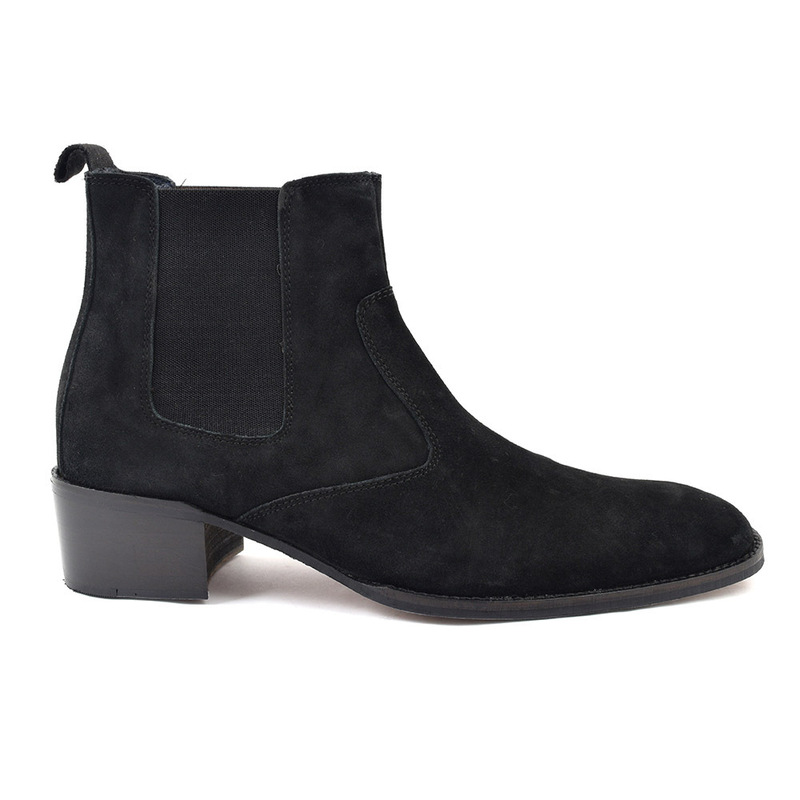 If you want to create a dramatic look, these black suede heels are the chelsea boots you need. Lets face it, the drama comes from the cuban heel born from the magnificent latin dances men wore such heels in and the sumptuous black suede. 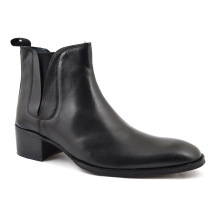 The sleek look of this heeled boot is perfect for wearing with dark slim fit trousers be they jeans or a more classic tapered trouser. 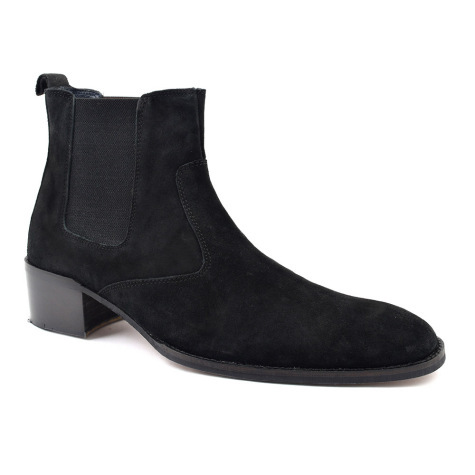 Even though the inspiration for these is from the chelsea boot and cuban heel combination inspired by The Beatles, we want men to have more choice and so created this suede version. Did you know that suede needs to breathe? In which case it is important to allow air to get to them and not keep them in boxes. 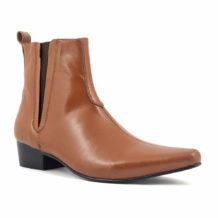 They also prefer to live in dark dry places as if exposed to lots of light, this can change the colour or tone of the chelsea boot. We would recommend that you use a shoe tree of unfinished cedar as this will help with the shape of the last and also get rid of smells. A tip if it rains is to stuff with paper as this absorbs moisture. Make sure they are dry before you store them. Of course, it is better to protect them from the off with waterproof spray. 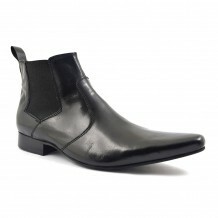 Be the first to review “Ringo Black Suede Heel Chelsea Boot” Click here to cancel reply.